All LBG Canada companies tend to watch program management costs closely. At the same time, companies seek to be known in community, and to allocate cash, time volunteered and in-kind contributions as effectively as possible. In order to provide additional insights to answer 'what is the ROI' questions, data analysis conducted by SiMPACT on behalf of LBG Canada companies has brought forward some really interesting results. 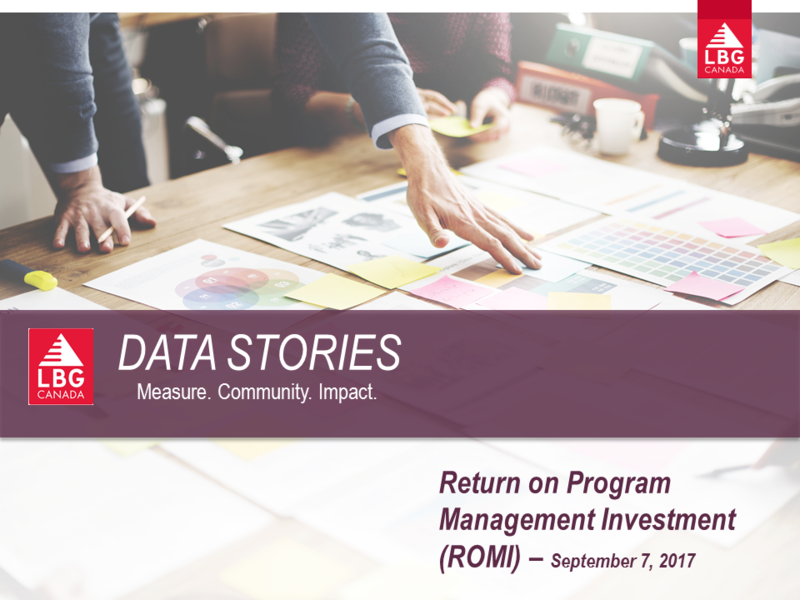 Check out the brand new LBG Canada series, Data Stories: Return on Program Management Investment (ROMI) for more information.